Cosmetic injectables and dermal fillers can restore youthful volume to the upper, mid, and lower face. A gradual loss of facial fullness is often inevitable over time; this reduction in volume can be caused by a combination of factors, including your body’s natural aging process, sun exposure, and genetics. These effects tend to result in facial wrinkles, hollows, folds, and fine lines. Cosmetic fillers are a quick and efficient way for patients to replenish temporary volume without undergoing facial surgery. Injectable fillers are completely non-invasive and require no downtime or recovery, yet they afford natural-looking results that can last several months to a year. Patients at Oppenheimer Plastic Surgery can achieve noticeable enhancements to facial contours in under a half hour with cosmetic injectables. 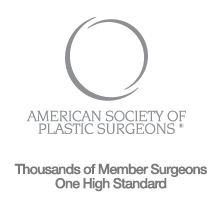 Cosmetic injectables are administered in-office at Oppenheimer Plastic Surgery. Fillers are injected into the targeted area(s) of the face to provide natural-looking volume. Dr. Oppenheimer can target the upper, mid, and/or lower face during your procedure. Treatment can be completed in less than 30 minutes, on average. Different cosmetic injectable options can be combined to produce an optimal result. For example, Dr. Oppenheimer may choose to use Botox® alongside dermal fillers, such as Restylane® or Juvederm®, when treating facial laxity. The coldest ice, the tiniest needles, the warmest heart. Patients experience virtually no downtime after being treated with cosmetic injectables. You can return to work and resume your daily activities immediately after completing treatment. Very minimal tenderness or swelling may occur at the treatment site(s). However, these effects should subside within a few days. Results can last from 6 months to a 2 years after your initial procedure. Further treatments may be required in order to maintain your facial rejuvenation results.